Lady and the Blog → Personal Blog → FINALLY Started Watching Downton Abby: Any Fans? FINALLY Started Watching Downton Abby: Any Fans? As you know, I’m a historical romance fanatic when it comes to novels. I REALLY enjoy reading those period pieces. In fact, I have an entire Kindle filled with over 100 titles just waiting for me to dive right into. I can’t tell you how many times I’ve had friends tell me to watch Downton Abby. For about a year, I thought the show starred Rachel Bilson and took place in the South. Yeah… I was WAY OFF. Finally, someone corrected me and just didn’t take my staple, “that show isn’t for me” answer. They pointed out the show was exactly for me and told me about the setting / characters etc. As I mentioned earlier, Bill and I signed up for Hulu Plus last night and we got right into it. We are three shows in and I am enjoying the series so far… but am not completely blown away as of YET. I can see the storyline building and I always give a series a chance. I’m excited to see where the love story goes. 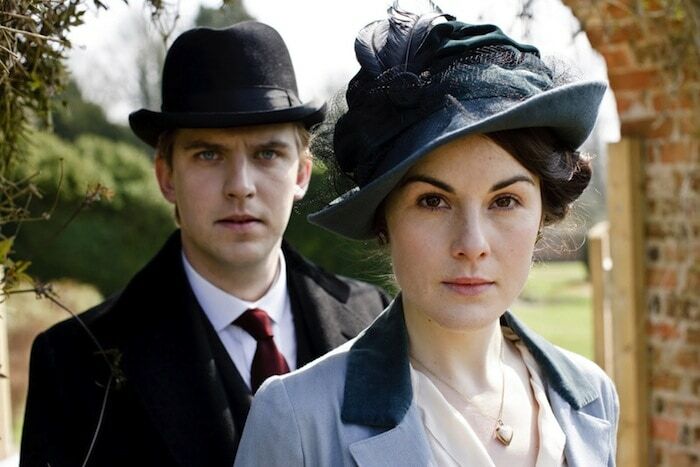 Curious to hear if you are a fan of Downton Abby? I am on season 1 — so I know there are at least 3 out there, right??? Excited to get through them all. I started to watch the first season on Christmas (it was on Tv). Then I bought the second season on DvD and finished it yesterday. I actually just downloaded these from amazon and haven’t had a chance to start yet. I hope it’s as good as they say! V, have you read the Outlander series???? no but i will look it up! I’ve heard a ton about it and searched for it the other day–not at a point I want to pay for it. I was looking into Hulu the other day, too. You really think it’s worth giving a chance? we are in the week trial as of right now. My cousins SWEAR by it but they dont have cable. I looked into Amazon to get this series. It was like 15 bucks a season. So, that alone is worth it. We are going to try to finish all three seasons this week – but I dont think Im going to cancel.